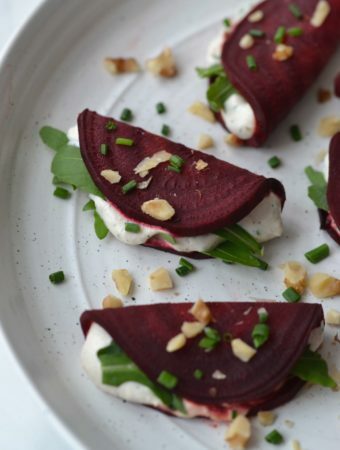 How cute are these little beet bites?! 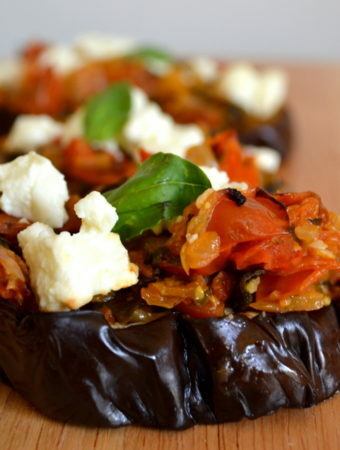 With their vibrant purple colour they would be the perfect dish to prepare for someone special this valentines day. 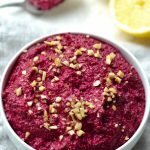 In this recipe I cut thin slices of beet using a mandoline, but they could easily be done using a knife. 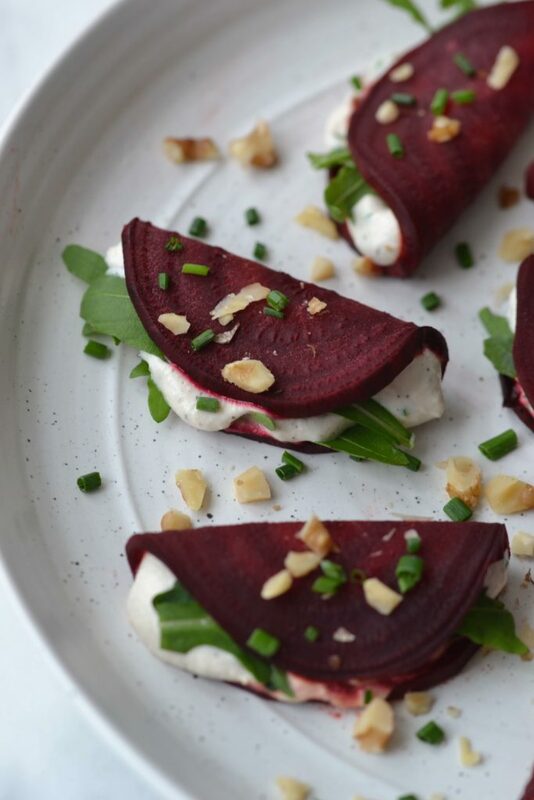 They are quickly baked in the oven for 10 minutes to become pliable, and then filled with smooth and creamy herb “goat cheese” and arugula. 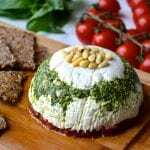 If you are completely horrified by the idea of cashew cheese, like I once was, please don’t be. 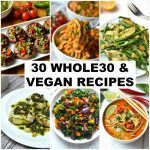 After discovering the wonders of vegan “goat cheese” when I made this Goat cheese tower, I have gone on to add it to as many dishes as I can (including pizza!) 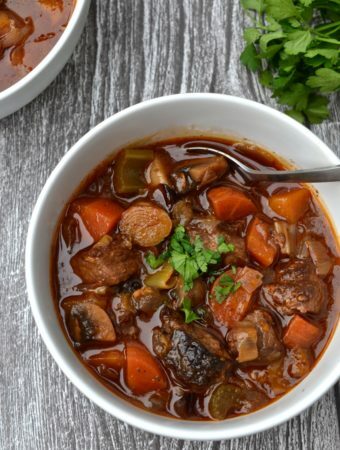 because it’s so delicious and easy to make. 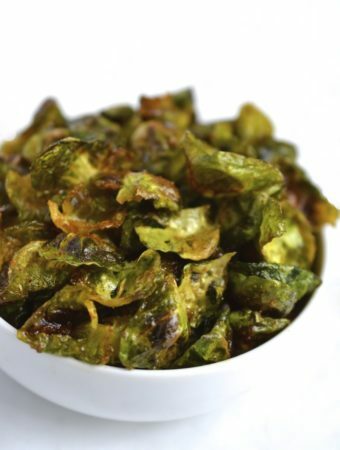 These would make a great appetizer or canape that people can just pop into their mouths. 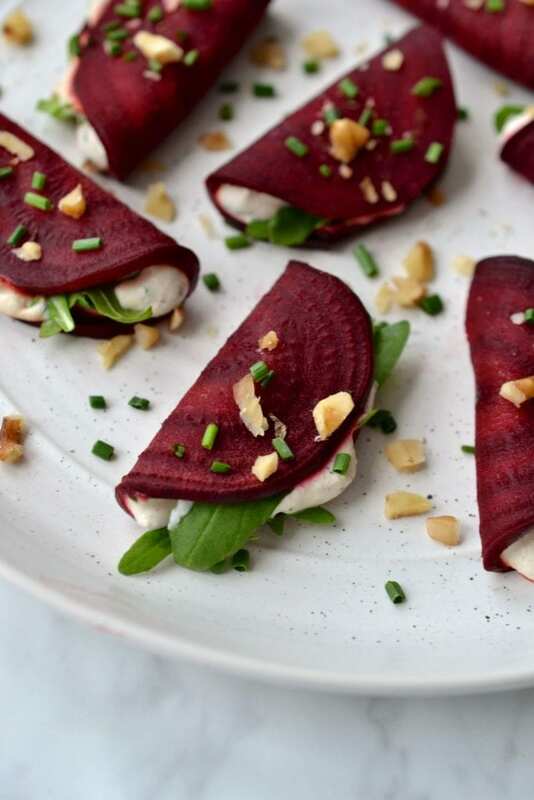 Alternatively you could serve these beet bites on top of a salad for an appetizer or light dinner. 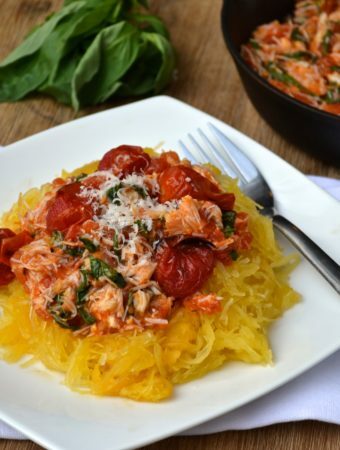 They are so flavourful and pretty that they will really steal the show. 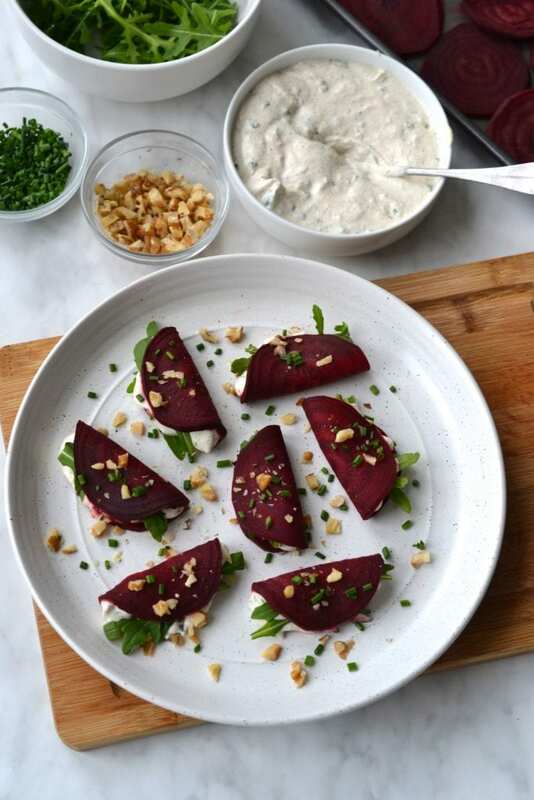 To garnish I like sprinkling the bites with chopped walnuts and chives, but a drizzle of balsamic glaze would also work really well and make them even prettier. 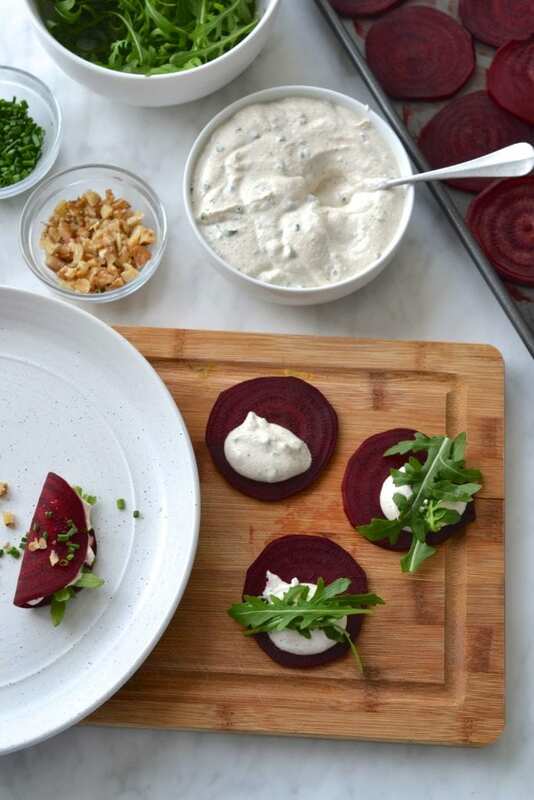 You could prep the “goat cheese” and beet slices a day or two in advance and then assemble them before serving. 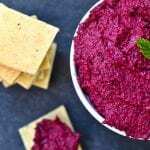 Leftovers will also last a day or so in the fridge, but be aware that the colouring from the beets may start to bleed into the filling and turn it pink. 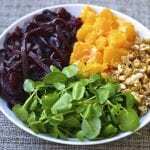 Cut both ends off of the beets and use a vegetable peeler to peel them. 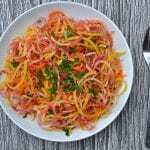 Using a mandoline or a sharp knife cut slices as thin as possible. 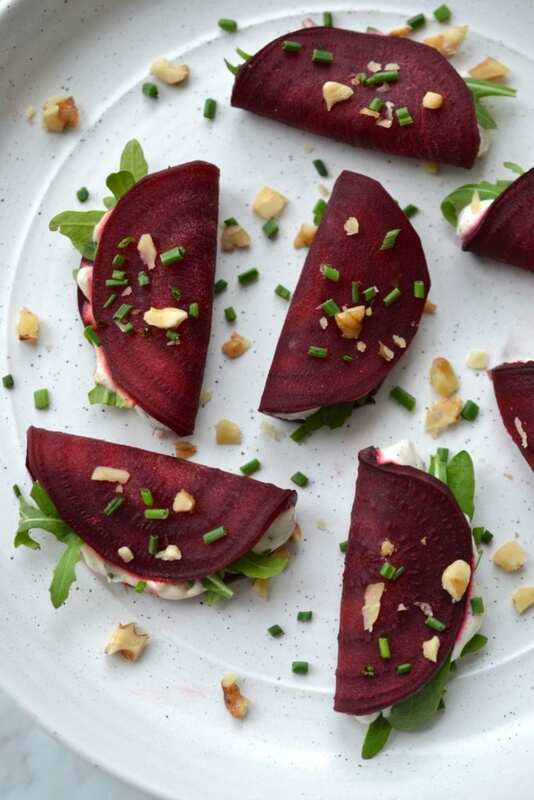 Lay the beet slices out evenly on a baking sheet and bake in the oven for 10-12 minutes until the slices become tender and more flexible. 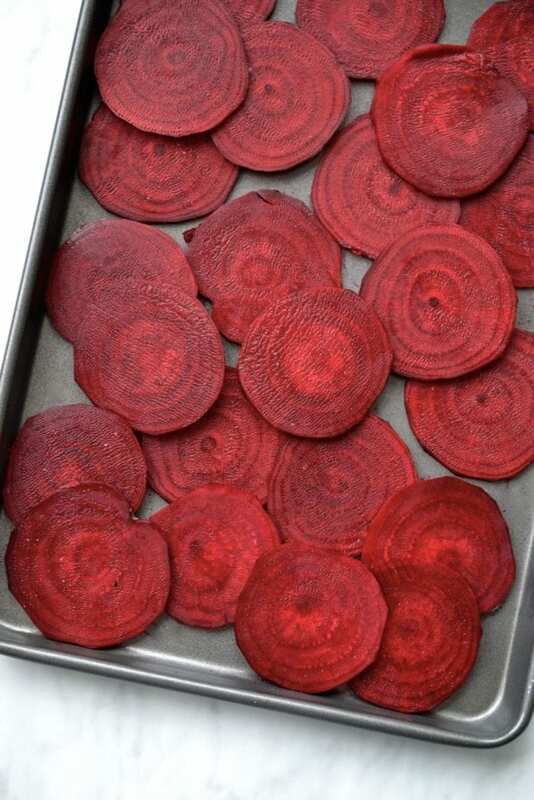 Once the beet slices are done baking transfer them to the fridge to cool. While the beet slices are baking make the cashew mixture. In the nutribullet or high speed. blender combine the drained cashews, garlic, lemon juice, apple cider vinegar, coconut oil, salt, pepper and water and blend until completely smooth. You may need to add another splash of water if the mixture isn't blending properly. It should be completely smooth. Once done blending stir in the chopped parsley and chives and transfer the mixture to the fridge for minimum 15 minutes to firm up. 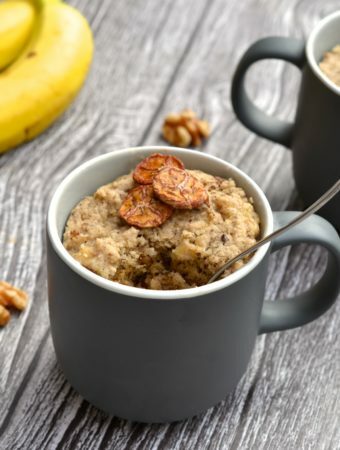 To assemble place a dollop of the cashew mixture on one half of the slice, add in a few pieces of rocket and then fold in half and press down on the edges to seal it shut. 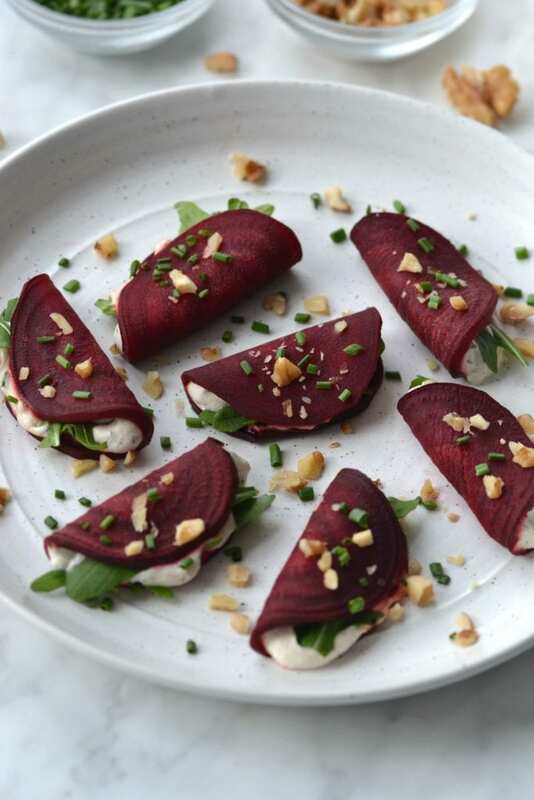 Place them on a plate and sprinkle with chopped walnut, chives and a drizzle of balsamic glaze. They will last in the fridge for a day.